Paul Arzens started out as a painter, but hated to sell his work, so he turned to industrial design instead. A working six-speed automatic transmission he invented narrowly missed being adapted for use by Peugeot. Later, he designed a body for a Buick chassis he called La Baleine (The Whale). Though overlarge and ungainly looking, The Whale was a radical body style for 1938, predicting the curved windshields and smooth, flow-through fenders that dominated car design from the 1950s onward. Repressive, resource limited WWII Paris was not a friendly place for motorists. Gasoline was scarce, cars were a luxury, and horse carts were pressed into delivery service. 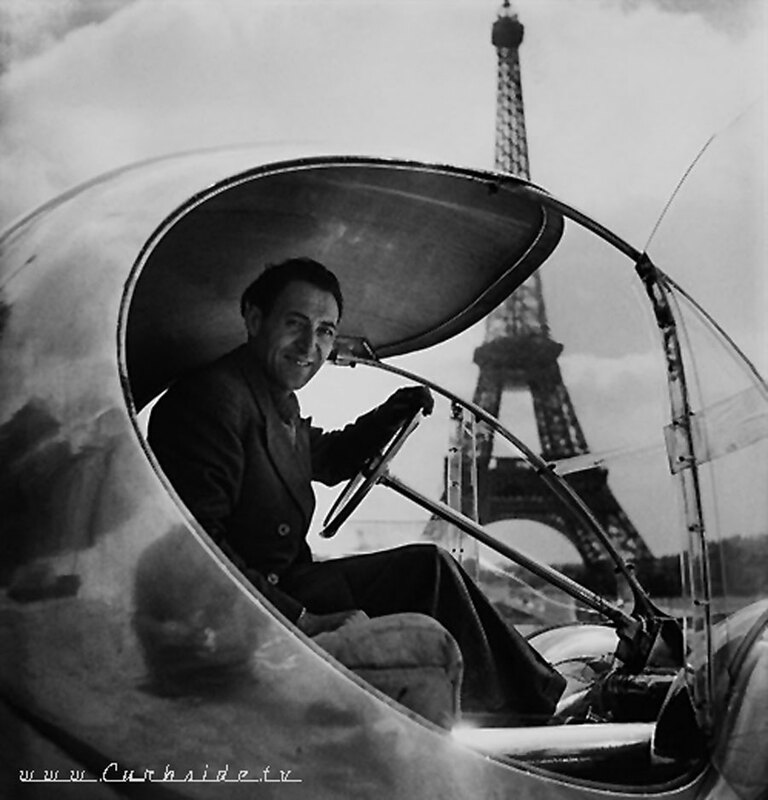 In 1942, Arzens saw an opportunity to engineer his own solution and set to work, hand forming a bulbous aluminum and Plexiglas “Egg” (“L’Oeuf) on his own electric-powered, three-wheeled chassis. Under the eye of the Nazis, Arzens had created an innovative electric city car. With a total weight of less than 800 pounds, the Electric Egg boasted a range of 63 miles and a top speed of 44 M.P.H., respectable performance compared to the few alternatives available at the time. Arzens cruised through the war years in his tiny aluminum and Plexiglas electric Egg. 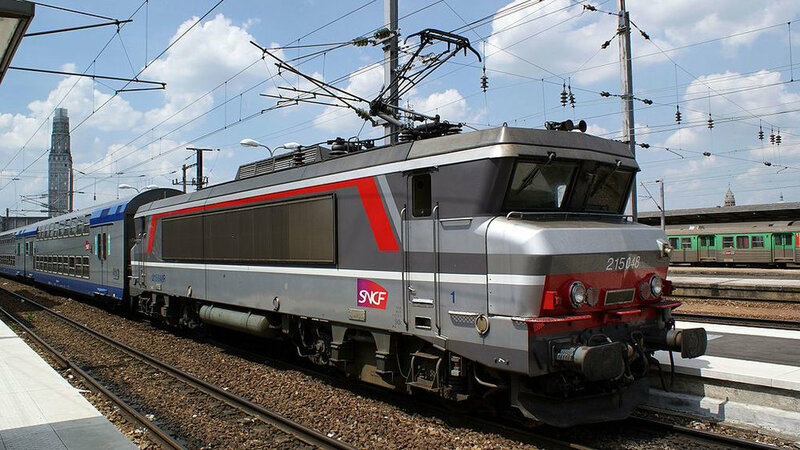 Then, after the close of hostilities, he set to work designing innovative railroad locomotives, including one that held a speed record from 1955 until the TGV bullet train debuted in 1981. Arzens remained a Parisian until his death at 87 in 1992. Today, his creations can be seen as permanent displays in museums there.